Duncan and his assistant Emma – or Emma and her co-magician Duncan, depending on which you ask – are preparing to wow their classmates with their magic routine at the school talent show. Then Duncan accidentally acquires a wand that can do…real magic! Now the local witch is after him to get it back, and she may not be the only person they need to worry about. This book alternates perspectives between Duncan and Emma in a cute if confusing way. It’s fun to realize that one or both of them is an unreliable narrator, but can be hard to remember which narrator you’re reading at any given moment. 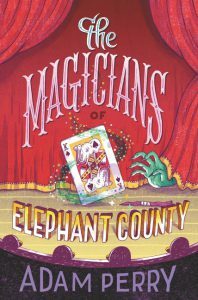 The rapid pace is sustained by lots of magic tricks, secret identities, wobbly broomstick flights, magicians shooting bolts of magic, and a fun friendship. Both Duncan and Emma have great narrative voices, and they sound just like funny, witty middle schoolers as we listen to them retell their stories. Mrs. Bunchwick, the kids’ mentor, carried out a lot of the action. While I loved her as a character, I would have loved the book more if Duncan and Emma had done more of the work themselves. The final resolution also felt a bit disconnected from the plot. But I finished it rapidly and while biting my lip! While I didn’t love this book, many middle schoolers may. 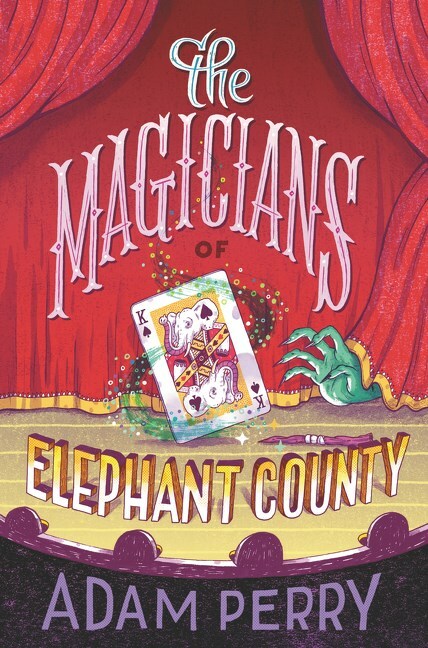 This book is for lovers of magic (the stage kind) and Magic (the supernatural kind). It is for kids who like to giggle at funny quips or who like to watch houses fly through the air and explode. Most of all, it is for people who love a good story about friendship.